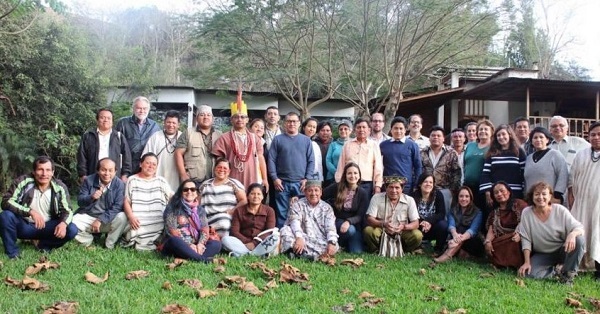 The workshop had three separate but interrelated objectives: to listen to and learn from indigenous peoples about their practice of conserving nature; to discuss with indigenous peoples’ representatives and representatives of the Peruvian National Protected Areas Agency – SERNANP (Servicio Nacional de Áreas Naturales Protegidas por el Estado) their vision of the governance of protected and conserved areas; and to examine the governance aspects of communal reserve Amarakaeri and its experience applying the IUCN Green list with the insights and inputs of the Peruvian EAGL (Expert Assessment Groups for the Green List). The former two objectives mostly concern governance diversity and the latter mostly governance quality. 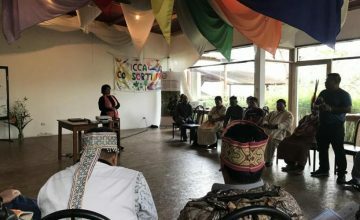 Several conserved territories or areas were also presented and discussed during the workshop, an in particular the Wampis Autonomous Territory (more than 1.3 million hectares) and the Matses indigenous territory. A conserved area is “a geographically defined area, other than a Protected Area, which is governed and managed in ways that achieve positive and sustained outcomes for the in-situ conservation of biodiversity, with associated ecosystem services and cultural and spiritual values”. (CBD, 2018). In conserved areas, the emphasis is thus on achieving conservation in practice rather than dedicating an area to it. In the case of the Wampis nation and the Matses people, conservation practices are closely intertwined with livelihoods, cultural identity and cosmovision. The Matses, for instance, have an elaborate knowledge of nature, species and their sustainable uses, which they refer to as “pure conservation”, a way of “living in and with the environment”. Conservation is not explicitly expressed as an outcome…. but it takes place. The Matses people—and to a certain extent also the Wampis nation, are actually successful in the most difficult and needed form of conservation in the Peruvian Amazon—keeping at bay extractive industries (legal and illegal) and the traffic of narcotics. The underlining of traditional knowledge and cultural links to nature was underscored many times by all of the indigenous representatives, with Shampiom Noningo Sesen of the Wampis nation noting that “Our elders and scholars may not have academic degrees that recognize them as conservation experts, but they know well how to conserve forests“. In fact, conserved areas have been able to withstand threats, and especially so when properly recognised and titled. Wilder Flores Gonzales, representative of the Matses native community, shared this view. 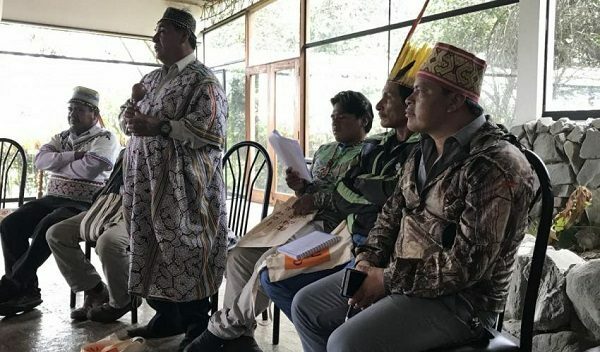 He described the threats that they faced over the past fifteen years from oil extraction prospects and initiatives, and the fact that the Matses have been able to actively defend their territory. He also stressed that the Matses territory has received some form of land recognition “assigned” to a group of native Matses communities. The Peruvian EAGL discussed in detail the concept of conserved areas in Peru. 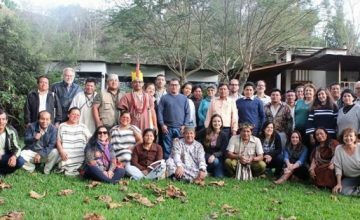 SERNANP outlined their long-term vision of governance of protected and conserved areas in Peru and the goal of working together with all conservation actors toward a single and thus strengthened vision for conservation. Further, they also identified five legal options not only under the protected areas system but also under other sectors such as cultural heritage and agricultural titling as options for indigenous territories to be legally recognised. These are: the law of native communities (Comunidades Nativas); the indigenous and territorial reserves (Reservas Territoriales e Indígenas); the communal reserves (Reservas Comunales); private conservation areas (Áreas de Conservación Privadas); and conservation concessions (Concesiones de Conservación). 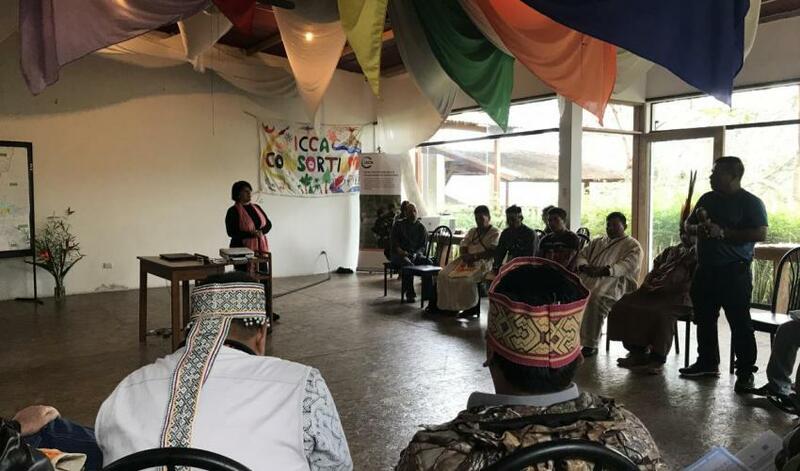 It is not clear to what extent these options have been availed of by the relevant indigenous peoples and nations, and how they would indeed strengthen their legal status and governance of the territories they are willing to conserve. What is clear is that without some form of legal recognition and legal personality for the relevant people, the ability to fully protect their territories against external threats remains uncertain. The article was extracted from the IUCN GPAP website.